CLEVELAND - Let's face it, man. Your wallet's so light these days it's feelin' like it could fly out of your pocket if a stiff wind kicks up. Your wife's beggin' for a new pair of Manolo Blahniks, and your kids need braces. You maxed out your credit card on a new stamped concrete patio in the backyard, so now you feel like you're two steps away from moving into a filthy alley, cradling a bottle of Mad Dog and setting out a tin up for change. Like you got a few extra bills for golf. Right. Well, don't fret. I know how you feel. Trust me. I've found my 5-iron works well to stave off creditors. But there is a way to play golf this summer without having to explore the deep, dark recesses of your couch for a few stray quarters. No one should ever have to stoop that low. Take it from a guy who's always looking for a deal. There are ways around paying full price for a round of golf . or even paying at all. You just have to know what those ways are. Consider me like that nutso nerd on TV who runs around with a jacket decorated in dollar signs and says, "Did you know you can get a $50,000 loan from the government and never pay a dime on it! Really! It's in the government books! I'll show you!" But I'm not gonna tell you how to fleece the feds . I'm gonna tell you how to fleece your local golf course. First off, let's talk about the Entertainment Book. If you haven't heard of this coupon book, then you, my friend, have been missing out on great deals not only on golf courses but restaurants, hotels, grocery stores, movies and sporting events. The Cleveland book costs $30, but you could save more than that if you just take advantage of even one golf coupon. For instance, one coupon offers one free 18-hole greens fee at the top-notch Stonewater Golf Club when one 18-hole greens fee is purchased. The current greens fee is $84. So listen up, math wizards: you and your buddy split the one greens fee you have to pay ($42 apiece), so you're essentially saving $42 each. So you've already made up for the price of the book, plus $12. That's ONE coupon. The Entertainment Book has 36 golf discount coupons, typically buy-one-get-one-free deals for golf courses, putt-putt courses and driving ranges. To redeem the coupon, you simply clip it out of the book and bring it to the course. When you buy the book, you also get a discount card that you can use at some golf courses for a 20 percent off deal. For more information or to order the book, log on to entertainment.com. Another secret: did you know you can get greens fees discounts if you're a card-carrying member of the Ohio Turfgrass Foundation? The catch is that you're supposed to be in the turfgrass management industry. 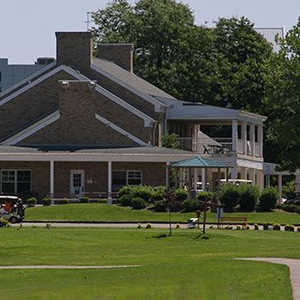 There is a broad scope of members, however, including turfgrass managers, golf course superintendents, sod producers, lawn care services, nursery and landscape maintenance contractors, athletic ground managers, parks and recreation departments, municipalities, cemetery superintendents, suppliers, and other industry personnel associated with turfgrass management in and around Ohio. An individual membership costs $80, but if your organization buys a membership, you get a card and they foot the bill. Their golf partnership program involves 38 golf courses, including stellar tracks like Hawk's Nest Golf Club and Windmill Lakes Golf Club. Some of the golf courses will require you to bring a foursome, and only one card-carrying OTF member will be comped. Hey, I didn't even know I was a member - I work for a landscape trade publication. Furthermore, I didn't know about the golf partnership program. So if you work in any field related to the ones mentioned above, it might pay to look into joining the OTF. For more information or to become a member, log on to ohioturfgrass.org. OK, so you can only get so many deals at so many golf courses before you have to pony up some cash. So if you find yourself penniless at the end of the golfing season, start peering into the dark recesses of your cupboards at home. 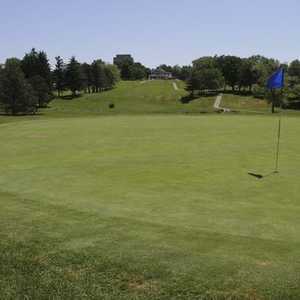 What you find there might be your ticket to a free round or two at any of the Cleveland Metroparks golf courses - Sleepy Hollow, Manakiki, Big Met, Little Met, Mastick Woods or Shawnee Hills. Every year in December, the golf courses host an event called "Golf for the Hungry." The usual deal is that if you bring in 10 non-perishable food items, you pay no greens fees. New potatoes, kidney beans, Uncle Joe's Boiled Goobers, they don't care, as long as the food items are non-perishable. Unfortunately, hot mitts and a parka don't come with the golf, but if you know Cleveland in December, you' ll prepare accordingly. Check out clemetparks.com for more information on these fine courses.